Economical gas mileage, in-cabin comfort, and safety are three qualities many Hilo and Kailua-Kona drivers look for in their search for a new sedan. In these areas, do you think the 2018 Toyota Camry lives up to its starting MSRP of $23,495? We think the comparably priced 2018 Honda Accord ($23,570* starting MSRP) is more than a match for the Camry. Check out Big Island Honda’s Honda Accord vs. the Toyota Camry comparison below to decide for yourself! Engine: The Toyota Camry L comes equipped with a 2.5L 4-cylinder engine rated at 203 hp and 184 lb-ft of torque. On the other hand, the Honda Accord LX gets a 1.5L turbo inline-4 rated at 192 hp and 192 lb-ft of torque. Transmission: The Honda Accord comes standard with a Continuously Variable Transmission (CVT) while the Toyota Camry gets an 8-speed automatic. Fuel Economy: The Toyota Camry L earns a 29 mpg city/41 mpg highway rating. With its base engine and CVT, the Honda Accord earns a 30 mpg city/38 mpg highway** rating. 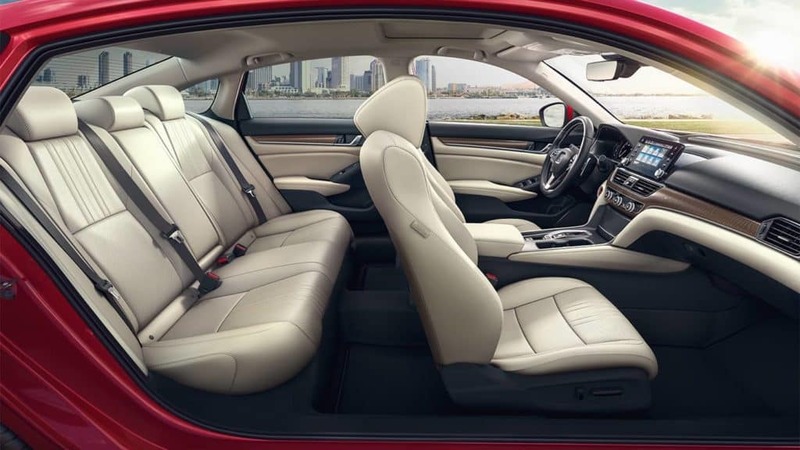 This means a roomier interior for you and your passengers to enjoy time and time again. In NHTSA crash tests, the 2018 Honda Accord Sedan and the 2018 Toyota Camry Sedan earned 5-star overall safety ratings;*** both offer first-class protection in the event of an accident. 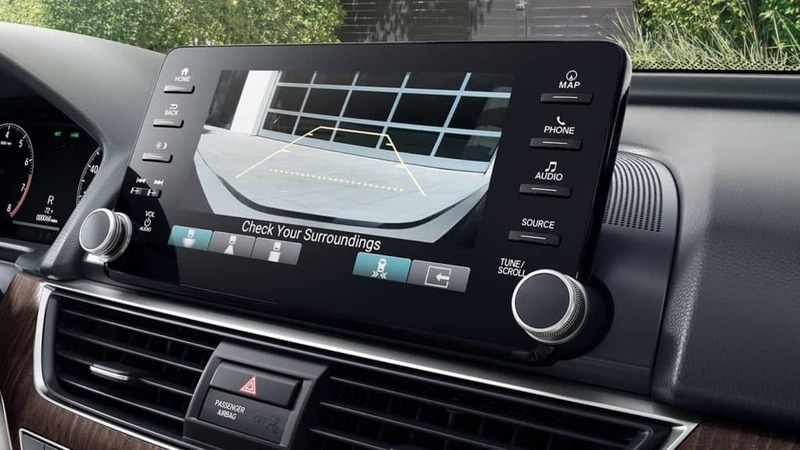 The Honda Accord and Toyota Camry also offer a suite of driver assists—Honda Sensing and Toyota Safety Sense P. These suites include adaptive cruise control, lane departure warning, and collision mitigation braking. Unlike the Camry, though, the Accord includes Traffic Sign Recognition, which recalls the road signs you pass. Choose Your New Accord Today! 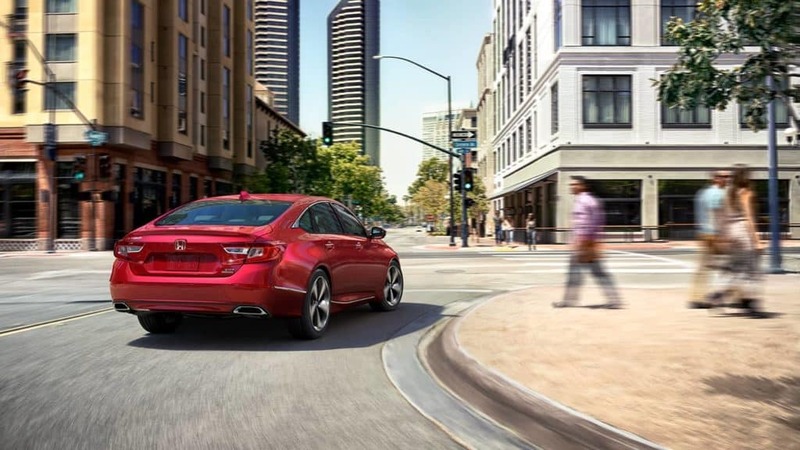 All in all, the Honda Accord is the more spacious and safety-focused sedan compared to the Toyota Camry. To learn more about the 2018 Honda Accord Sedan and how it compares to the Toyota Camry, Ford Fusion, or even the Honda Civic, schedule a test drive at Big Island Honda in Hilo or Kailua-Kona.